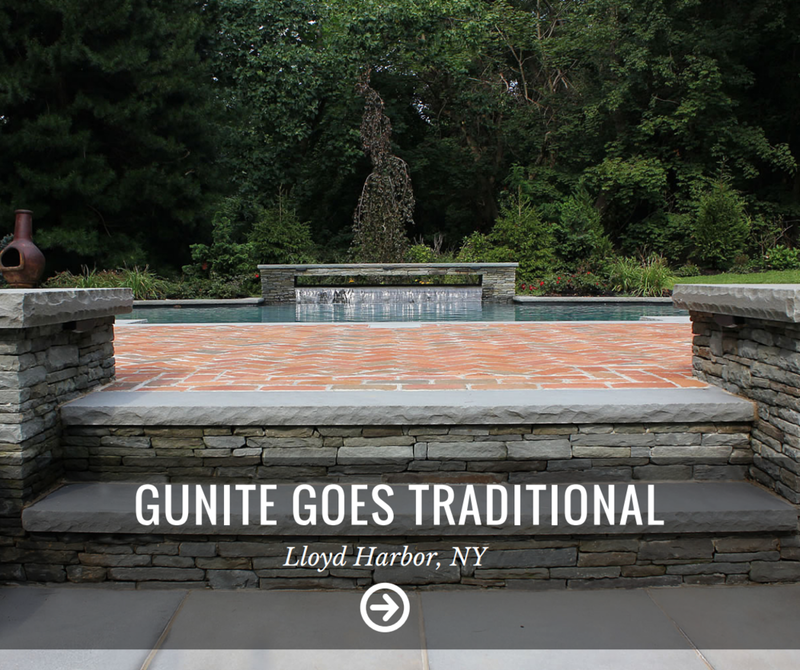 Gunite Pool Builder that Transforms Your Long Island, NY Home with Custom Landscape Design. The Platinum Group pool specialists provide ultimate landscape design innovation and selection to clients throughout Long Island. With chief expertise and training in the region, our APSP Certified Project Manager provides each client with a 3-D rendering of their persoanlized vision-turned-design. Specializing in custom-shaped gunite pools, our designers blend the custom-envisioned poolscape seamlessly with the existing land, enhancing the living space to a whole new level of beauty and enjoyment. Thinking of starting a swimming pool project for your Long Island, NY, backyard? The wide choice of construction materials and techniques for backyard swimming pools can often be quite bewildering. However, many professional pool builders consider gunite as the go-to material for constructing swimming pools as it ticks all the right boxes for an exceptional final product.